BEIRUT, April 7. /TASS/. The United States attacked the Syrian army’s main command center in the fight against terrorists of the Islamic State terror group (outlawed in Russia), Political and Media Adviser to Syrian President Bashar al-Assad Bouthaina Shaaban told the Al-Mayadeen TV channel. According to her, "those who took such step should be put on par with terrorists." "This is a cowardly strike and Syria will respond to it by taking steps agreed with its allies," Shaaban said. Assad’s adviser pointed out that the US attack came after Syrian government forces had achieved an important success on the eastern outskirts of Damascus and in the Hama Governorate, fighting off militants’ attacks. Shaaban slammed some Arab countries and members of the Syrian opposition based abroad, who welcomed the US attack. "Any Syrian, any Arab who welcomes this aggression is a traitor," she stressed. 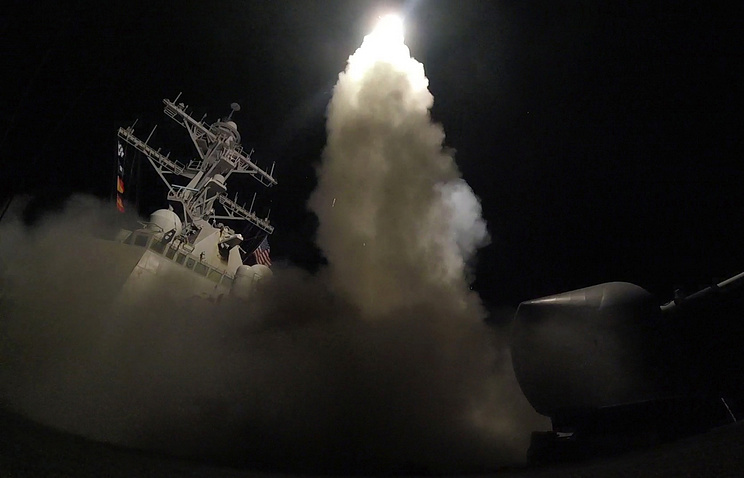 On Thursday night, at the direction of US President Donald Trump, the US forces fired 59 Tomahawk Land Attack Missiles (TLAM) on a Syrian military air base located in the Homs Governorate. The attack came as a response to the alleged use of chemical weapons in the Idlib Governorate on April 4. 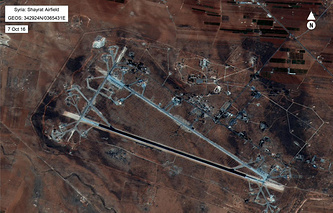 The US authorities believe that the airstrike on Idlib was launched from that air base. Various reports say that the attack killed nine civilians, including children, besides, four Syrian servicemen were also killed, another four were wounded and two went missing. According to the Russian Defense Ministry, a number of facilities and six aircraft were destroyed, however, the runway and aircraft outside hangars remained intact. The Russian ministry said the US attack’s efficiency was low.